* Learn How to Play REAL Melodies on the Drums! One of the most original and adventurous jazz drummers on the jazz drumming scene, Ari Hoenig successfully blends knowledge of tradition with the future. His impressive list of sideman credits includes Joshua Redman, Wayne Krantz, Kurt Rosenwinkel & Kenny Werner. He also continually creates his own projects, incl. Ari Hoenig Quartet, Trio and Punk Bop. Inside of “Melodic Drumming”, Ari finally shares a rather unusual aspect of jazz drumming: playing actual melodies on the drums. Really. Not just “you can kind of hear a melody.” Ari shares his in-depth approach to REALLY playing true melodies on the drums with you here. Besides being a monster jazz drummer, Ari is also a clear & concise teacher. All melodic drumming concepts are explained in great detail. Plus, fellow drummer & former student Jerad Lippi asks insightful questions for part of the video. And now YOU can add this to your jazz drumming arsenal as well! Learn How to Play REAL Melodies on the Drums! “Pure Genius!! Let me start off by saying this is an INSTRUCTIONAL VIDEO, not a show-off video. … I really like the interview format: it reminds me of the old instructional videos of Dennis Chambers and Steve Gadd. And Ari's student seems to get to the right questions, and Ari to the right answers, always throwing in some extra content. Ari picked up the sword that once was Max Roach's signature weapon – and he polished and sharpened it. “This video is simply jaw-dropping good! Ari’s unbelievable musicality & ideas are on full display and he's sharing them in a very clear way. 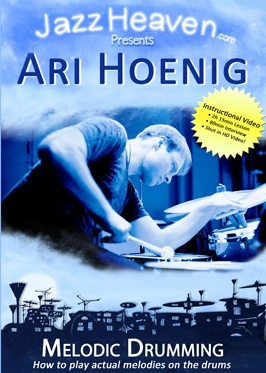 Very nicely filmed with excellent sound, this is like a private lesson with Ari, very to-the-point & informative. An interesting interview sheds light on his background and makes it clear where he came from, developing this unique approach. I'm very inspired by this and can't wait to hit the practice room; this video definitely will open doors for new approaches on the drum set. 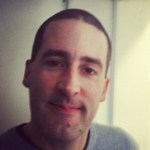 “I purchased the first three available drum Videos from Jazzheaven (Harland, Hoenig, Peterson). This is a niche market and these videos are really unique — please support their work! I found this video to be the most cerebral of the three, which surprised me given how specific Hoenig is in describing tuning, practice approach, and in his use of melody on the instrument. After seeing Ari play live several times — and being somewhat overwhelmed by the experience — it's great to see him explain the concepts in such an approachable manner.